How many read modes are offered? Multiple read modes offer greater flexibility and value than single read modes. What kind of detection technology is used? Monochromator-based detection offers flexibility, convenience and spectral scanning; while filter-based detection is characterized by precise sensitivity and may often switch rapidly between distinct wavelengths for kinetic assays. Hybrid detection systems combine both technologies for the utmost in flexibility and sensitivity. Is it upgradeable? If so, can the upgrade be installed on-site? On-site installations reduce overall downtime, and often the technician is available to answer questions or conduct training. Is the reader automatable? Automating the process with a compatible microplate stacker increases throughput with walk-away operation. 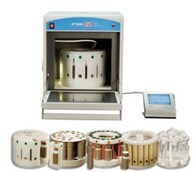 Click here to read the next four questions you should ask when buying a microplate reader. 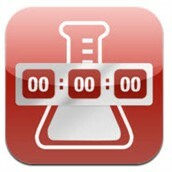 The LabTimers App includes 6 timers that can be individually set and run simultaneously. Visit the Sigma-Aldrich website to view their over 200,000 Lab Products. The ETHOS EZ represents the state of the art in closed vessel microwave digestion. Unmatched build quality and technology has resulted in the safest, most versatile, and highest performing system available. Superior vessel design, combined with more precise temperature control and the most powerful software delivers better digestion results than any other closed vessel system - whatever the sample type. I have the alert mYCOALERT with luciferase assay firefly substrate (kit Promega E1910). What does it mean? Advise this member. When I run a protocol, after measurement I see ADC overflow Error. Help this member. We have a FLUOstar Optima Plate reader, serial number 413-3039. We are planning to replace our associated computer and are wanting to know if the software will be compatible with a newer computer. Share your knowledge. The Triple Quad 3500 System, an enhanced basic mass spectrometry system that meets the evolving demands of food and environmental testing laboratories for research use. The Triple Quad 3500 system was developed based on customer and industry feedback, resulting in a modernized, system that delivers quantitative performance at a price point affordable by labs with limited budget or those new to mass spectrometry. Read more. SciGene introduced the CytoBrite Slide Incubation System, a new programmable system for performing FISH/ISH hybridization protocols on 1 to 12 slides using Peltier technology for rapid heating and cooling. The CytoBrite System accurately detects true slide conditions using SlideSense™ technology and records times and temperatures to a USB file. Read more. Shimadzu Scientific Instruments has introduced four universal testers that offer high-level control, tight precision and intuitive operation for a wide variety of material testing. The 20kN and 50kN table-top types, and the 100kN and 300kN floor types extend Shimadzu’s Autograph AGS-X series. The new testers come standard with Shimadzu’s TRAPEXIUM X or TRAPEXIUM LITE X software to gather and display data for users in real time. Read more. Thank you Molecular Devices for sponsoring the Microplate Readers category on LabWrench. The signal from my DTX 880 (luminescence, firefly luc) has become about 1/10 of what it used to be. The optimization was checked. Can this be due to reduced PMT sensitivity? Provide feedback. I get fatal error #323 when booting up a Molecular Devices Spectramax Gemini manufactured in 1999. Advise this member. Has anyone used Varioskan flash to read absorbance at OD 600 (600nm)? What is the sensitivity? Are researchers carrying out Minimum inhibitory concentration testing for antimicrobials using absorbance (OD600) using Varioskan Flash? Share your knowledge.